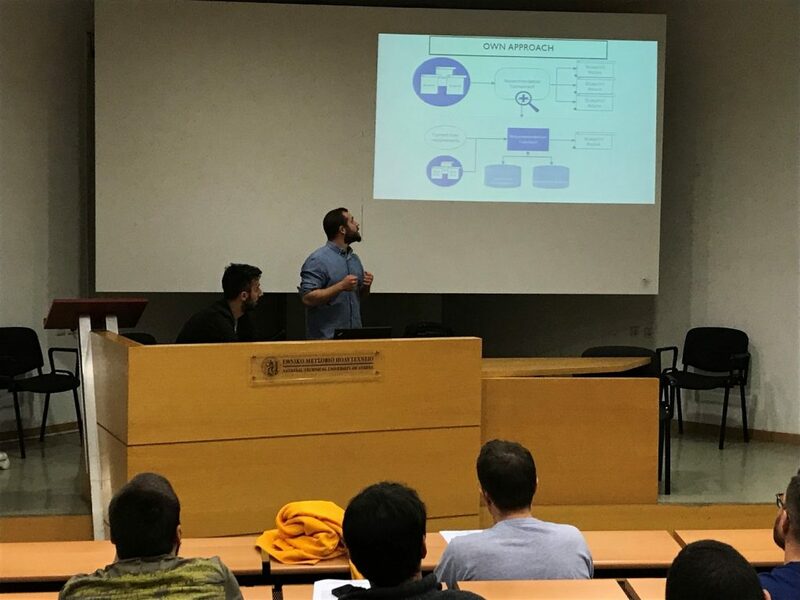 The team of ICCS has held a presentation regarding thesis projects at the National and Technical University of Athens. New ideas were presented and further suggestions were discussed at the basis of enriching DITAS project. One of the core ideas was the vectorization of the Elastic Search in order to serve its needs for recommendations. This suggestion, along with other fresh ideas, were presented in order to help improve DITAS and extend it’s capabilities. You can find the presentation right here.